Despite its aesthetic affectations, urban architecture is far from a politically-detached art form. The city, as an organic entity unto itself and tangible representative of human civilisation, acts as both facilitator of inclusion and aggravator of inequality, often simultaneously. The product of a complex array of (among other factors) urban planning policies, human migratory patterns, warfare, business interests and zoning laws, architecture acts as a reflection and extension of power struggles. Who owns the keys to the streets? How do the spaces we inhabit influence the trajectory of our daily lives? As with any political project, city building naturally coincides with its own historical narratives and these narratives can establish who belongs and who does not in any given area, as well as the symbolic associations and communal aspirations of the city consciousness. Of course, by assuming such power over the rhythm and structure of quotidian life, architecture also has the potential to create new meaning. It can alter the spatial landscape of an urban area in such a way that neglected neighbourhoods or crumbling infrastructure become vibrant sites of cooperation and achievement and erect a living testament to the rich history and culture of an oppressed people so that their experiences are immortalised in national or even supranational collective memory. Architecture is inherently malleable, after all, and to that end renowned architect Sir David Adjaye has consistently pushed the boundaries of his field. 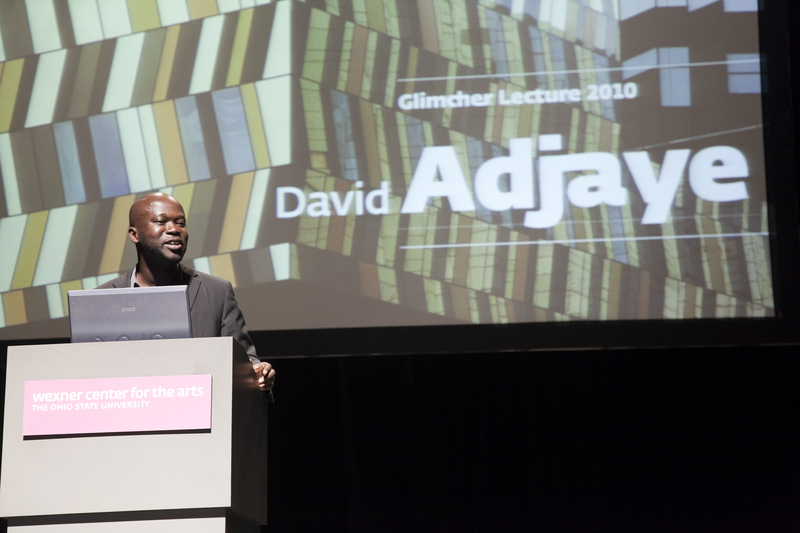 Adjaye, born in Tanzania to Ghanaian parents, moved to the United Kingdom at the age of 9. Here, he would hone his craft, winning the prestigious RIBA President’s Medal Students Award in 1993 for his Master’s work at London’s Royal College of Art and working with several celebrated architects (David Chipperfield in London, Eduardo Souto de Moura in Porto) before establishing his own studio in 2000. 17 years and numerous groundbreaking projects later, Adjaye was knighted during the UK’s New Year Honours, having already received an Order of the British Empire (OBE) in 2007. Francis A. Gregory Library in Washington, D.C. Indeed, the iconic Sugar Hill apartments in northern Harlem typify Adjaye’s meticulous attention to detail, ensuring the primary benefactors of his work are those with a stake in the area. Harlem, though a neighbourhood of bristling creativity and culture, is home to a substantial homeless population, many of them downtrodden actors, musicians and writers. Recognising architecture’s ability to create new spaces of opportunity and belonging, Adjaye built Sugar Hill in 2014 as a mixed-use affordable housing development, including apartments reserved for the homeless. Overlooking the East River and Yankee Stadium in the Bronx, Sugar Hill reflects the vibrant history of Harlem in its design, featuring a façade ornamentation of New York’s indigenous heritage roses as well as an open-air public plaza spurring active engagement from the surrounding community. Currently, Adjaye is working on a similar project in downtown Johannesburg, transforming a once-dilapidated skyscraper in the revitalizing Maboneng neighbourhood into a luxury apartment complex rivalling those of Manhattan and Toronto, but at an affordable price. 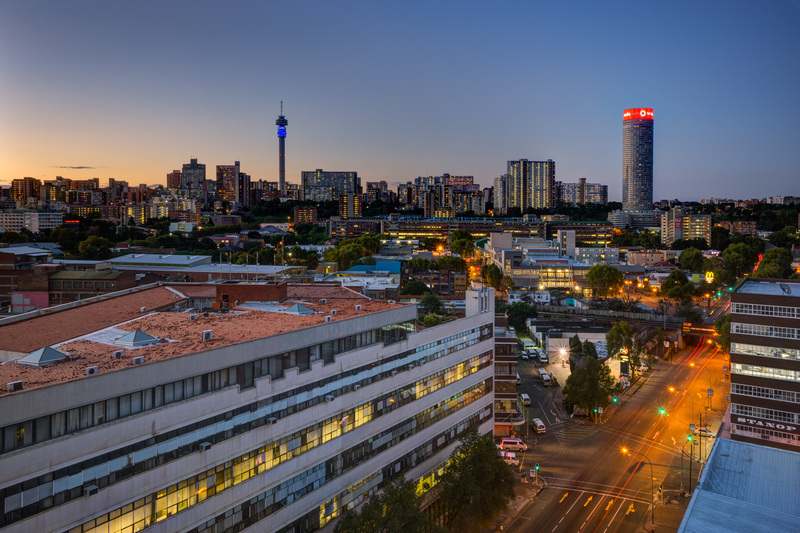 Throughout the late 1980s and 1990s, large-scale corporations and financial institutions fled Johannesburg’s central business district (CBD) en masse on the pretext of rising crime rates and real estate instability. City planners’ lacklustre response to population growth and governmental transition usually shoulders most of the blame for the CBD’s subsequent urban decay, but closer examination reveals a self-fulfilling prophecy of capital flight from the downtown core. Hardly non-racial in their analysis of South Africa’s post-apartheid business environment, the white-owned corporations dominating asset ownership, investment and the Johannesburg Stock Exchange (JSE) relocated to the affluent northern suburbs (Sandton, Parktown, Rosebank, etc.) in quick succession, radically restructuring the balance of economic power in Johannesburg’s cityscape. This made little sense in rational economic terms, but the imminent end of apartheid presented these oligopolistic corporations with unprecedented infrastructural and social challenges that they preferred to avoid altogether, even if it meant a significant short-term financial loss, rather than working with social groups and city planners to overcome. Thus, the promise of a building like Adjaye’s fortcoming Hallmark House, offering an exhilarating urban lifestyle in a vibrant neighbourhood once synonymous with violent crime and systemic impoverishment, simply cannot be overstated. 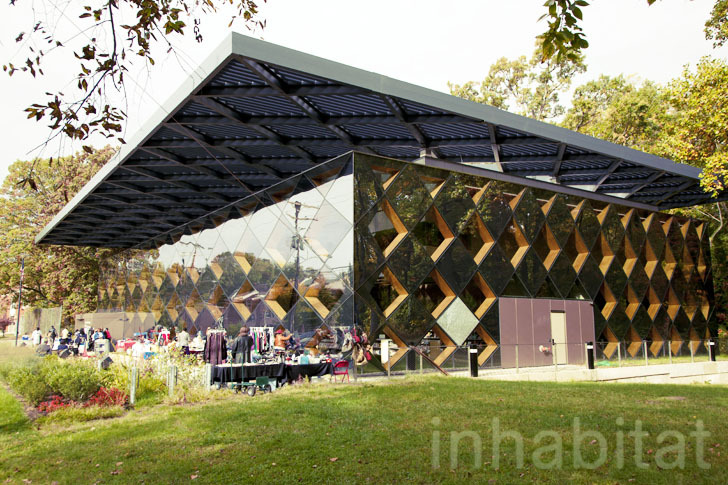 With the Francis A. Gregory Library, he directly challenges that outdated model and instead creates an open space brimming with natural light and solar-powered technology. 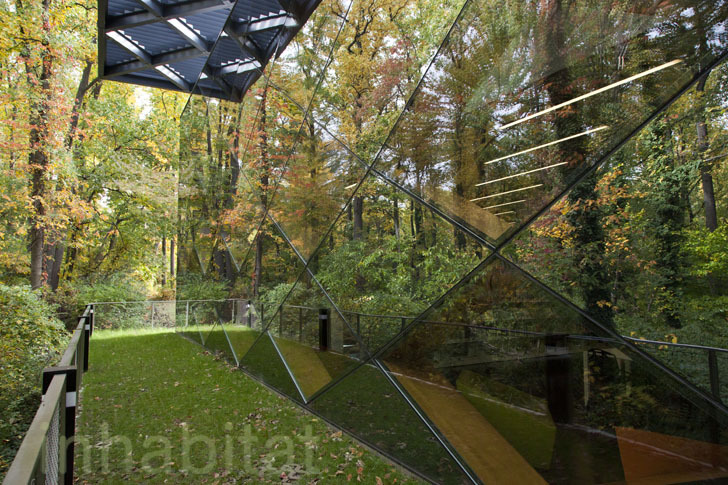 The structure itself evokes a cyber forest of sorts, with outgrowth from the adjacent woods in conjunction with the building’s aluminum-glass frame allowing it to “disappear” at various points of the day. Completed in 2012, the library now attracts visitors and students from all over the city. It would be fair to assume from these three magnificent projects, among others, that Adjaye generally belongs to a more maximalist tradition in architecture. Yet, one of the most eye-opening segments of his lecture was his description of the powerful effect a simple pavilion had on the city of Gwangju, South Korea. Located on the banks of the Gwangju River, the dividing boundary between two relatively-disparate sides of the city, the pavilion re-imagines something as simple as a crude footpath leading across the water to create a welcoming space of knowledge and community. Adjaye conceptualised the pavilion as an open library, inviting acclaimed Ghanain novelist Taiye Selasi to curate a 200-book collection in memory of the 200 students massacred at nearby Chonnam National University in 1980. By adding new books to the collection and now using the pavilion for a variety of municipal events, citizens of Gwangju have built on Adjaye’s vision for a landmark at the crossroads of a constantly evolving city, an architectural achievement that knocks down barriers rather than erect new ones. 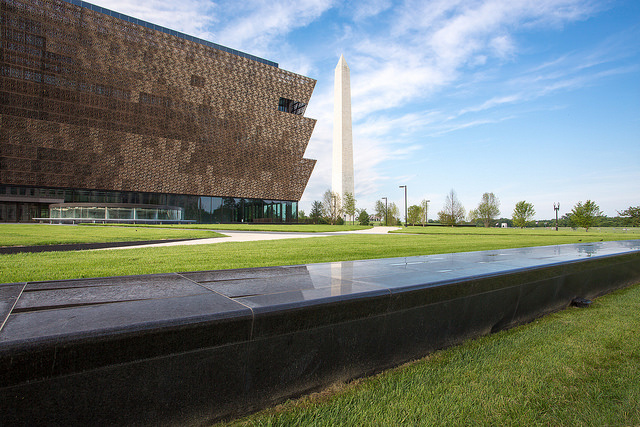 The National Museum of African-American History and Culture (a.k.a. the “Blacksonian”) in Washington, D.C. Indeed, in many ways, the Blacksonian is a radical re-imagining of its contextual space and of American memorialisation, in general. A solar building built on the exact site of an early 19th century slave market, the museum changes colours in different lighting and takes visitors through a powerful 37,000-piece collection spanning six centuries. 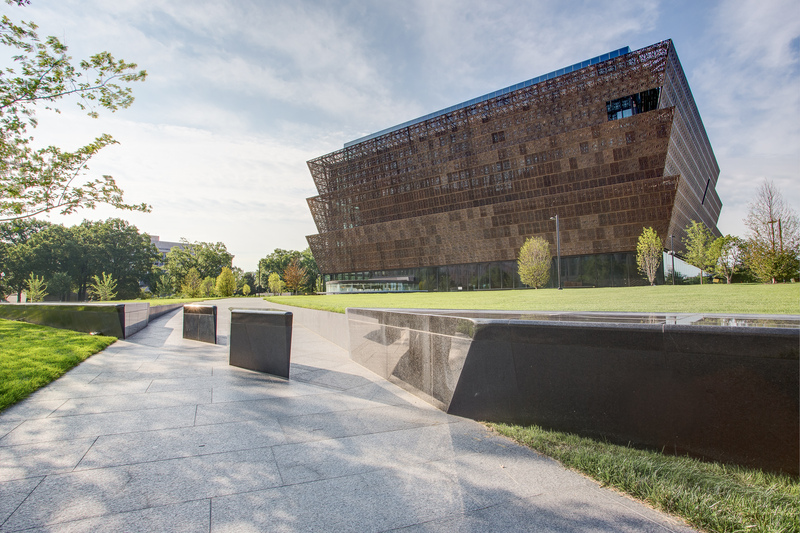 Simply put, the Blacksonian — through its prominent location, innovative design and emotional experience—manifests what should already be clear to anyone with even a cursory understanding of the United States: there is no American history without African-American history. If there is one current running through Adjaye’s oeuvre, it is his profound belief that people, not merely structural components, determine the essence of architecture. From a pavilion in South Korea to a national museum in Washington to a skyscraper in Johannesburg, an open-ended conversation permeates everything he creates. “The interiority of a building always comes second to its exteriority,” he concludes, exemplifying an acute awareness of architecture’s social implications as well as its inherent potential to redefine our world.